Maple Award winner David Vest may be living in Canada’s Pacific Northwest, but the pulse-pounding barrelhouse piano player still doesn’t stray far from the sounds of his youth in Birmingham, Ala., just a short stroll from the site of the legendary Tuxedo Junction ballroom. Now in his early 70s, his first paying gig came at age 14. 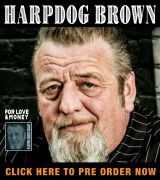 He was a veteran road dog four years later, when he opened up for Roy Orbison for a New Year’s Eve show. A talented songwriter, Vest composed the first tune ever recorded by future country superstar Tammy Wynette and toured with several Grand Ole Opry legends, including Faron Young and Red Foley. His blues education came at the feet of three of the most important blues keyboard players to emerge from Texas — Floyd Dixon, Katie Webster and Walter “The Thunderbird” Davis, setting him up for a career that’s seen him touring with Jimmy “T99” Nelson and Lavelle White before serving a five-year stint as co-bandleader for Paul DeLay, the virtuoso West Coast harmonica player and songsmith. An entertainer of the first order, he’s been thrilling audiences as a frontman since DeLay’s untimely death in the mid-2000s. 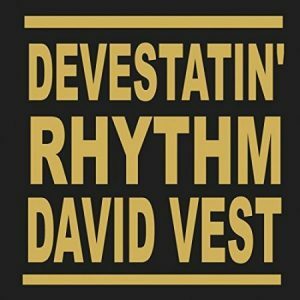 This stellar release is the third in David’s catalog, following East Meets Vest in 2012 and Roadhouse Revelation. He’s backed here by The Willing Victims — guitarist Teddy Leonard, drummer Mike Fitzpatrick and bassist Gary Kendall, augmented by Pat Carey on sax and Howard Moore on trumpet – for a rollicking collection of nine originals and one cover that would be just as comfortable in a Delta roadhouse as it is in the land he now calls home. “Staring Down The Barrel Of The Blues” is another in a succession of catchy numbers. It describes being caught in the act of making love by a lady’s protective, gun-toting uncle. Delivered in a style that will reminde you of Jerry Lee Lewis, “Kingsnake” uses serpent imagery to describe someone who’s messing with the singer’s woman and living under his house, while “We’re All Sharecroppers Now” compares the poverty Vest’s father had to endure while walking behind a plow with the work-until-you-die economy of the modern world. “The Blues Live On” is a slow blues that lists and honors a litany of lost superstars as it delivers the simple message of the title, while “Biscuit Rollin’ Baby” is plea for an explanation why the singer now has to roll his own as his lady contemplates leaving, sexual innuendo running strong throughout. A cover of Leon Paine’s “Lost Highway,” a beautiful ballad, follows before the loping “Come Back To Bed” and “Red Dirt Remedy,” a paean to country living delivered with an old-time feel, bring the set to a close. Barrelhouse stylings and more for the modern age. Vest’s originals shine, and his band’s first-rate. 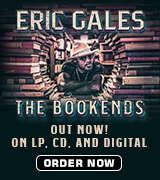 Available through Amazon, iTunes and other online retailers or direct from the artist’s website.